The Uppababy Cruz is a full sized luxury single pram. The Uppababy Cruz was previously called the Uppababy Alta, but it had a recent name change. That’s all. It’s still essentially the same pram. And I have to admit this is my kind of pram. It featured in our recent Best Prams 2018 list. The Uppababy Cruz gives me almost everything I want in a pram. Huge extendable hood with large mesh “peekaboo” window. The ONLY THING it doesn’t do that I love to see on a pram is the seat isn’t newborn ready and the bassinet isn’t include. 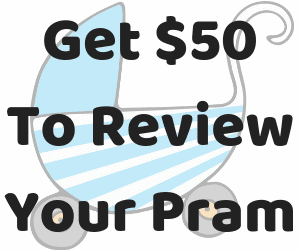 You will need to purchase a carry cot/bassinet sold separately for your new baby. Alternatively you can purchase adaptors for a Maxi Cosi car seat, or pair the Uppababy Cruz with the Uppababy Mesa car seat for your newborn. This is a gorgeous pram for Cruz’in around suburban terrain. It’ll handle grass, gravel, playground mulch easy. 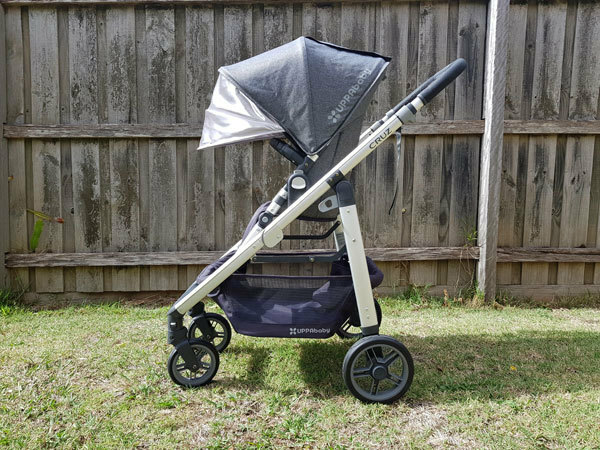 It’s not necessarily an all terrain pram, but it does glide over that usual suburb landscape. It’s also super maneuverable making it great for navigating through shopping centres. 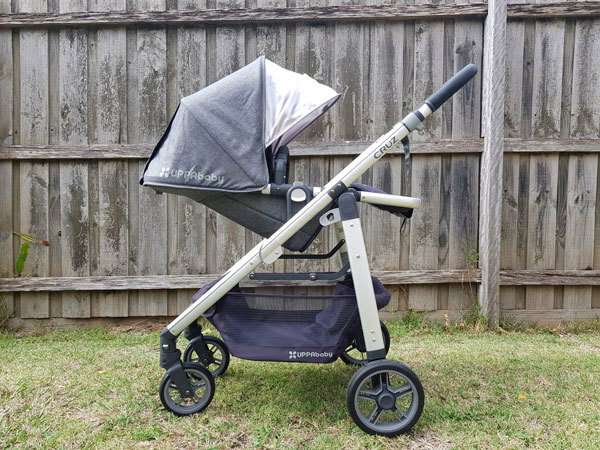 Even though the Uppababy Cruz is a full sized pram it is a fairly narrow 56.5cms wide, meaning you won’t feel like you’re taking up the whole footpath either! With it’s big basket and being easy to fold and pop open it’s also the perfect shopping companion. It can hold a whopping 11.3kgs in the basket. Which is huge. Also I love that it’s ideal height for parking at a table, so you can use it has a high chair at your local cafe or take it out to a restaurant. I would add though that it’s probably suited to a family with an SUV or a large car. I popped it in the boot of my little Kia Rio and while it definitely fits, it doesn’t allow much space for additional items. Much less all the shopping you can fit into the basket of the Uppababy Cruz. Unlike a lot of prams that offer “leatherette” details, the Uppababy Cruz boasts 100% full grain leather for it’s handle and belly bars. The leather comes in two colours to choose from. 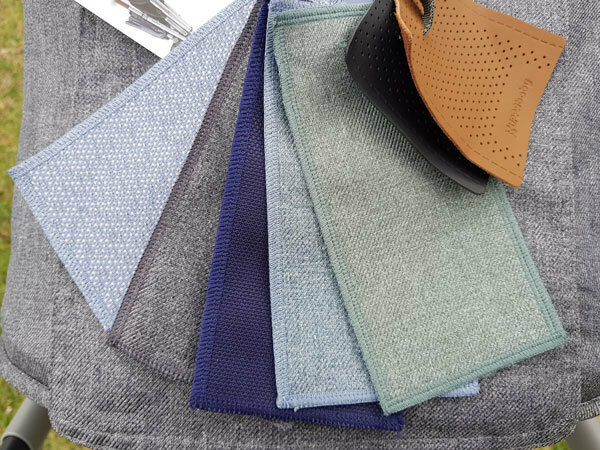 As well as having a selection of very stylish and modern colours for the hood and seat. The hood has a pop out sun visor that provides you child with heaps of sun/weather protection. 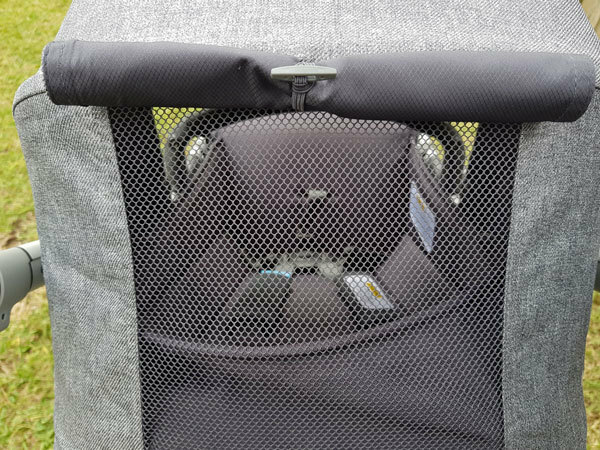 And a large, mesh, “peekaboo” window so you can keep an eye on your baby when they’re facing forward, and also to provide them a little extra air flow. The Uppababy Cruz is just a pleasure to push. It’s smooth and agile. It has loads of thoughtful little features; like an automatic folding lock, and a standing fold. It’s easy to use. Overall I think it’s a great luxury pram. 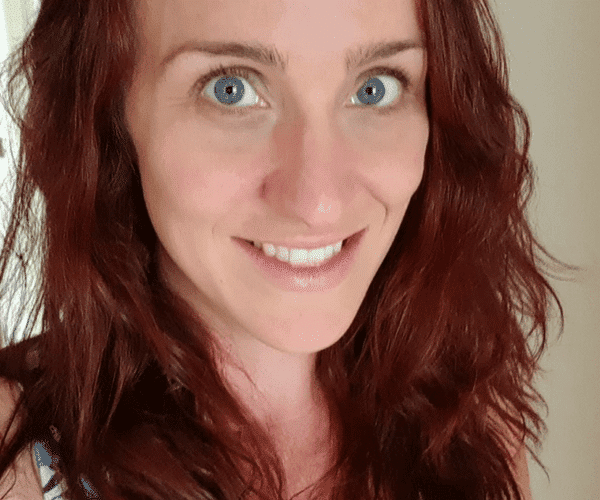 I borrowed the Uppababy Cruz to review from the lovely team at Baby Train.